Rabbit Litter Box – Owning and raising a house pet can be a bag of mixed experiences. It might seem cheerful to have a pet, but it is also a tedious task to take care of the pet. Mostly, it is the pets that can keep you happy. After all, pets are a definite source of unconditional love and they will make you feel good about yourself all the time. But taking care of pets is a different story altogether. It can be a meticulous task to nurture the pets and keep a close watch on them and taking care of their needs. One of the most daunting tasks is to keep the house sanitized and hygienic. Needless to say, the first thing that every pet owner must do is to ‘potty train’ the pet. Whether you choose to walk your dog outside to do its thing or get a litter box where your cat or bunny can relieve themselves, is a choice to be made by the pet owner. But it is an important choice nonetheless. This write-up talks about some of the most commonly known litter boxes that are available in the market. The main focus of this article is to offer a guide to the pet owner in choosing the best litter which not just houses your bunny but also keeps your pet cozy and comfortable. As the owner of a house rabbit, it is very important to choose the right litter box. Primarily because it is very essential to keep the pet in a clean and healthy environment. There are two different categories of rabbit litter boxes. Either as a litter box or as a litter with bedding which can be used for nesting the rabbit. 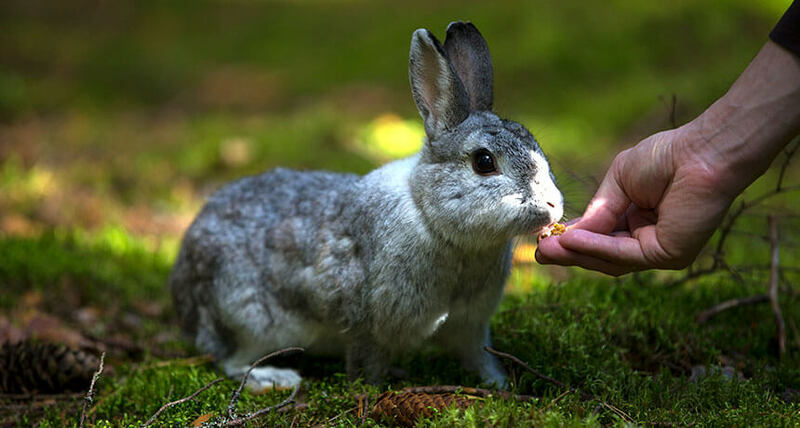 Before jumping into the brands and features of the different types of litter boxes and bedding products, there are certain pointers that every house rabbit owner should keep in mind. Buying one should be a conscious and well-informed decision. After all, it is the most important part of raising a pet within the house premises. It best to opt for a litter which is highly absorbent. There are varying levels of absorbency and the highest being approximately 10 times its own weight. The best ones in the market are dust free and non-toxic litter boxes. Below is a rundown of commonly available rabbit litter boxes in the market. So Phresh Paper Pellet has a small animal litter which is perfect for bunnies. It is highly recommended by users and is probably the safest paper pellets to use for small animal habitats. So Phresh pellets also contain a variant of baking soda which is very effective in controlling the foul odors. It also has biodegradable properties which make the paper pellets easy to dispose off. There is no risk or threat to the environment. This rabbit litter box is a good choice given that more consumers are looking for eco-friendly products which have little to no impact on the climate and surroundings. In addition to its biodegradable features, the So Phresh paper pellets are made out of recycled paper. This is an added advantage since it makes use of waste papers and thrash. Because of the use of recycled papers, the pellets are much more effective in soaking up the moisture in the litter box. In turn, the pet owners are benefited because there is little to no mess when tidying up the bedding or the litter box. This is another one of the viable options when it comes to choosing a rabbit litter box from the market. It is a recommended product for small animal litter. The Fresh news pellets litter is highly impressive with the way it rapidly eliminates the bad odors emanating from the litter. The product also comes in sizable volumes when compared to other litters made out of clay. Even the pellets are made out of recycled paper. This makes the product easy to dispose or get rid of. Being a biodegradable product, this rabbit litter box can alternatively be used in composts or can be incinerated safely. Fresh News paper pellets have a good level of absorbency i.e. it can absorb the moisture and liquid wastes in the litter box with much more efficiency. These pellets can soak up more moisture when compared to other products made out of wood or clay. Needless to say, the rate at which the pellets soak up the litter is an important factor which every house pet owner pays attention to. This product is highly recommended for rabbits as well as ferrets and other small house pets. The Oxbow Ecostraw bedding is a fascinating litter for house pets. It uses wheat as one of the key ingredients and is made in the form of straw pellets. Because of its natural ingredients, it is a very safe product designed with the comfort of your house pet. After all, when you keep all the things in perspective, it is imperative to keep in mind the wellbeing of your pet before acquainting it with a new litter. This product is made by compressing the wheat straw in the form of a pellet. This design makes it much more efficient in absorbing the wetness from the rabbit litter box. It is twice as efficient as other litter pellets that are made out of recycled paper or other news paper-based pellets. The eco straw bedding can soak a liquid of up to 3 times its own density. Additionally, the Oxbow Eco straw bedding is dust-free. This makes it easy for the pet owner to clean the bedding. Many pet owners have highly rated the eco straw bedding in comparison to other products which are not dust free. Carefresh custom rabbit bedding has a truly unique and inspiring feature. It can stay fresh and seem new for an extended period of time. Carefresh pet bedding can maintain odor control for almost up to 10 days. In other words, the rabbit litter box will remain fresh and comfortable for much longer time and save the pet owner lots of time and effort in cleaning up the litter frequently. It is highly permeable and porous which takes the ability to absorb liquids to an all new level. It is definitely one of the best products in the market in terms of its capacity to hold moisture. An added bonus of the Carefresh pet bedding is that it is dust-free. The manufacturers claim that it is 99% dust free, which is an awe-inspiringly high rate. Quite often, when cleaning up the rabbit litter box, there would hardly be any dust in the litter. Many of the soft pellets pieces that are part of the product are also 25% larger than other products available in the market. Kaytee Wood Pellets are suitable for small animals as well as for birds. It is entirely made out of natural wood and highly recommended for pet owners who have multiple small pets. A unique feature of the Kaytee Wood Pellets is that they tend to expand to hold more moisture in the rabbit litter box. This also has a strong effect in controlling the odor which makes the bedding more comfortable and hygienic for the pet. Being made out of wood, the Kaytee pellets do not stick to the litter. This makes it easy to clean the litter box. Also, it does not leave any wooden debris and is a dust free product. The Kaytee rabbit litter box is made of completely natural ingredients. This makes the product non-toxic. It also uses many natural minerals which makes it comfortable for little bunnies to live in. The Kaytee potty training litter probably has the highest liquid absorbing capacity. Some reviews suggest that it can soak up to an incredible 10 times its own weight. Even the manufacturers have high claims with regards to this product. They claim that the product can reduce the cleaning frequency by almost 30% or more. From the pet owners perspective, this can make a world of difference. This litter box is 11 inches long, 8 inches wide, 6 inches high and 3 inches depth. This size of the litter box is considered the best choice for adult rabbits. Excluding young guinea pigs and rats, you can use it for adult guinea pigs, ferret or other small animals. The best part of the litter box is that it keeps the mess away from the rabbit. As a result, even after going to toilet, it proves to be very helpful in keeping your rabbit clean. Because of its removable grid floor design, it is possible to keep rabbit clean. It is made of plastic which is quite durable. Cleaning and maintenance of the litter box is very easy. The litter box can be cleaned with ease due to non stick surface. Another good news is that this litter box comes with hooks. By connecting the hook to the tray, the litter box can be prevented from sliding. It will definitely provide comfort to your rabbit. On the basis of the features, people have given it 4.4 stars out of 5 and 66% of the people have given it 5 stars on Amazon.com. As a result, it can be the best rabbit litter box in 2019. This rabbit litter box is definitely admirable on the basis of design and suitable size. It is 12 inches wide, 9 inches depth, and 6 inches high. This ideal size provides comfort to your rabbit. If you are thinking why this litter box should be used for your rabbit then there are many features that make it different from others. It is made of durable plastic which prevents stain and eliminates the bad odors emanating from the litter. As a result, despite the mess, your litter box will stay fresh. You do not even need to do more cleaning when you will not get any scattered litter because it can be locked to the cage. If you have a wire cage then it can be locked. The main advantage of locking the litter box to the cage is that your rabbit cannot overturn it. As a result, it is very helpful to prevent mess from scattering. Another feature of this rabbit litter box is that it comes with wired floor which plays an important role in keeping your rabbit clean. This wired floor is removable that helps you clean the litter box with ease. This will prove to be the best rabbit litter box in 2019. After considering the main features of this, our experts highly recommend it to be used because it gets 4.3 stars out of 5 and 63% of the people have given it 5 stars on Amazon.com. This litter box is considered the best option for potty training your small pet. You really can potty train your rabbit which is very helpful in keeping the cage and your rabbit clean while your rabbit go to the bathroom in one place. It is 11 inch long, 8.5 inch wide, 6 inch high, and 3 inch deep. Because of the ideal size, you can use it for adult rabbits, adult chinchilla, adult guinea pigs, and other animals that is relatively large. The rabbit litter box is made of plastic that is quite durable and strong. The main feature of the litter tray is that it is stain resistant and odor proof. If it seems to be stained then can be easily cleaned and prevents the foul odor from spreading in the house. As a result, it helps to keep your rabbit clean and hygienic. The litter tray comes with hooks that help to prevent it from being tipped over the cage. After considering the main features of the rabbit litter box, our experts highly recommend it to be used. People have given it 3.8 stars out of 5 and 50% of the people have given it 5 stars on Amazon.com. If you want to train your rabbit to pee and excrement then the TeaQ litter tray is very helpful in training the rabbit easily and keeping the rabbit cage or your house clean. Its outer dimension is 29.5 cm. L x 22.5 cm. W x 16 cm H. This rabbit litter box is considered ideal for rabbits, guinea pigs, chinchillas and other small animals. This litter box is most liked because it provides a decent sized surface which is best suited to adult-sized rabbits. Your rabbit will feel comfortable. Due to being a slight deep, it prevents the rabbits urine from spilling out of the litter box. When it comes to the material to be used, it is made of high quality plastic and steel that is antibacterial and makes it odor proof. As a result, if you place it into the room, surely the room will be more clean and less smelly. Also, if you want to place it into the cage, like other rabbit litter box, it can be easily attached to the cage. People have given it 3.7 stars out of 5 and 54% of the people have given it 5 stars on Amazon.com. This is considered the best, unique, and portable rabbit litter box. This is one of the adaptable, versatile and different from other litter boxes. We are mentioning all its main features here that will help you understand why you should buy this litter box. You can use it not only at home but also it can be used if you go out of the house with your pet. For example, if you want to go on long vacations or you are getting ready to go for a long road trip, you can carry it with you. It can be easily folded. With the help of this litter box, you can prevent your rabbit from scattering the mess into the car. When you take the rabbit out of the house with you, the rabbit litter box certainly would be helpful for you. Simply open it and fill the litter box with some litter and then encourage your rabbit to go to the litter box. It comes with ideal size that is 15.7” L x 11.8” W x 5” H. This size is most suitable for rabbits of small and medium-sized. It is considered a must-have accessory for any pet owner because rabbit can be encouraged safely and easily to go to the litter box. To make the rabbit litter box, the nylon fabric is used on the outside and PEVA is used inside which makes it waterproof. Its other main feature is that it can be used as a pet bed by putting a mat inside of the litter box. If you find any issue related to the litter box, they guarantee that you will get your money back. After considering the all features of the rabbit litter box, our experts highly recommend it to be used. People have given it 4.5 stars out of 5 and 72% of the people have given it 5 stars on Amazon.com. If you want to keep your rabbits clean and make them potty train, this rabbit litter box will prove to be the best choice for your rabbit. Your rabbit will definitely feel comfortable whenever they use it. It offers an ideal size that is 12.56 inch L x 14.41 inch W x 11.42 inch H. This shape can be easily fitted in corners. It means you can fit it in the corner of a cage. This rabbit litter box is made of durable plastic that is stain and odor free. As a result, despite the mess, your rabbit’s cage stays fresh. When it comes to maintenance, the litter box is very easy to clean because it has a removable grid floor. The removable grid floor and scoop plays a very important role for containing rabbit mess to the litter pan. It’s also got slightly elevated sides that prevents your rabbits urine from spilling over the sides. It has rubber feet on the bottom of the litter pan that help secure the litter pan to the rabbit cage. That’s why it can be the best rabbit litter box in 2019. People have given it 4.4 stars out of 5 and 60% of the people have given it 5 stars on Amazon.com. This litter box is best suited for small animal such as rabbit, guinea pig, galesaur, and ferret. It provides an ideal size for your rabbit. Its outer dimension is 11 inch L, 8.5 inch W, 6 inch H, and 3 inch D which provides a comfortable area to your rabbit. When it comes to material, like other rabbit litter boxes it is also made of plastic that is quite strong and lasts for long time. The plastic is stain free and odor resistant. As a result, the litter box is very easy to clean and it contributes significantly in keeping your rabbit hygienic. Its wire floor panel is very helpful to keep messes away from your rabbit. With the help of the rabbit litter box, you can potty train your rabbit easily. As a result, you can keep the rabbit cage and your house clean. Another good news is that this litter box comes with hooks. By connecting the hook to the rabbit cage, the litter box can be prevented from sliding and they cannot overturn it. People have given it 4.4 stars out of 5 and 67% of the people have given it 5 stars on Amazon.com. Misyue litter box will prove to be the best rabbit litter box in 2019. This litter box is best suited for small animal such as adult rabbit, adult guinea pig, galesaur, and ferret. Misyue litter box provides an ideal size for your rabbit. Its outer dimension is 11 inch L, 7.4 inch W, 3 inch D which provides a comfortable area to your rabbit. When it comes to material, like other rabbit litter boxes it is also made of plastic that is quite strong and durable. The plastic is stain free and odor resistant. As a result, the litter box is very easy to clean and it contributes significantly in keeping your rabbit hygienic. Its wire floor panel is very helpful to keep messes away from your rabbit. As a result, your rabbit will not be messy. With the help of the rabbit litter box, you can potty train your rabbit easily. It means that you can keep rabbit cage and your house clean. Another good news is that this litter box comes with hooks. By connecting the hook to the rabbit cage, the litter box can be prevented from sliding and your rabbit cannot overturn it. People have given it 4.3 stars out of 5 and 64% of the people have given it 5 stars on Amazon.com. If you want to train your rabbit to pee and poo then the Kaytee hi-corner litter pan is very helpful in training the rabbit easily and keeping your house clean. Its outer dimension is 11 inch L, 20 inch W, and 9 inch H.
This rabbit litter box is considered ideal for large ferrets, big bunnies and other pets. This litter box is most liked because it provides a decent sized surface which is best suited to adult-sized rabbits. Your rabbit will feel comfortable. Due to being 9 inch deep, it prevents the rabbits urine from spilling out of the litter box and they cannot scatter messes outside of the litter box. When it comes to the material to be used, it is made of high quality plastic and steel that is antibacterial and makes it odor free. As a result, if you place it into the room, surely the room will be more clean and less smelly. Also, if you want to place it into the cage, like other rabbit litter box, it can be easily attached to the cage. People have given it 4.4 stars out of 5 and 69% of the people have given it 5 stars on Amazon.com. Marshall ferret litter pan is an innovative and best usable litter box that can be best suited for your rabbit. It can be used for small pets such as rabbits, ferrets, and guinea pigs who weighing up to 6 pounds. The size of the rabbit litter box is 14 inches L x 14 inches W x 9 inch H that offers the comfortable place. They will feel very comfy by sitting in the litter box. Climbing the litter box for rabbit is also quite easy. Its back side is 9 inches high, however front side of the litter box is only 3 inches high. As a result, rabbits can easily climb without facing any problems. That’s why it is called pet-friendly. These high sides prevent rabbits urine from spilling out of the litter box. Not only this, due to being slight deep, it is impossible for rabbits to scatter messes out of the litter box. When it comes to maintenance, it is very easy to clean because it is stain free. The Marshall lock on litter pan has an innovative screw mechanism which secures the pan to rabbit cage easily and prevents the litter box from sliding. After considering all the features of the rabbit litter box, our experts highly recommend it to be used. People have given it 4.2 stars out of 5 and 63% of the people have given it 5 stars on Amazon.com. This litter box is really helpful for those people who potty train their rabbit for the first time. Ware Manufacturing Critter Litter Small Pet Training Kit is totally different from other rabbit litter boxes. This is the only litter box which provides everything that is necessary to potty train your rabbit. It includes everything such as locking litter pan, litter sample, litter scoop, and a potty training guide. That’s why our experts highly recommend it to use. This rabbit litter box makes easy for the pet owner to potty train their rabbit because it comes with a handy guide. The litter training kit gives you easy instructions to train pets for potty into the litter pan. It also comes with a plastic litter pan which is 7 inch L x 4.5 inches D x 3 inch H. The plastic litter pan is durable and like other litter boxes, it is also stain and odor free. Due to being stain free, the rabbit litter box is very easy to clean. You can clean the rabbit litter box with the help of a strong litter scoop easily. 4.5-inch deepness prevents the rabbit’s urine from spilling out of the litter box and they cannot scatter messes outside of the litter box. It can be conveniently attached and removed to a wire cage. If you attach it to wire cage then it is impossible for the rabbit to overturn the litter pan. After considering all the above features, people have given it 3.2 stars out of 5 on Amazon.com. This is one of the best rabbit litter boxes that can prove to be the best suited for your rabbit. Its outer dimension is 11 inch L x 9.5 inch W x 7 inch H that is considered an ideal size for ferrets, rabbits especially for dwarfs rabbit and guinea pigs. They will feel comfortable in this area. It is considered a pet-friendly litter box because front side opening is lower than backside. It means that they can climb conveniently. However, high sides are really helpful in preventing messes from scattering out of the rabbit litter box. It can be fitted in the corner of the cage. As a result, it does not cover much space of the cage. Your rabbit will get enough living area. This rabbit litter box is made of strong and durable plastic that is stain and odor free. As a result, due to being stain-free, it is very easy to clean and despite the mess, your rabbit’s cage stays fresh. Its other feature is that this litter box comes with hooks. By connecting the hook to the cage, you can prevent the litter box from sliding. It will definitely provide comfort to your rabbit and they cannot overturn it. After considering its all features, our experts believe that this will prove to be the best rabbit litter box in 2019. Rabbit owners have given it 3.7 stars out of 5 on Amazon.com. If you are finding the best litter box for your rabbit, Prevue Corner Litter box can be a great choice for your rabbit. Its size is 8 inches L x 8 inches D x 7 inches H. It is considered an ideal size for rabbits and ferrets. In fact, they feel comfortable in this area. If you want to train your rabbit for using litter box then the Prevue Rabbit and Ferret Corner Litter Pan is very helpful in training your rabbit conveniently and you can keep your house clean. When it comes to material, this rabbit litter box is made of high molded plastic that is quite strong and durable. The plastic is stain free and keeps litter box fresh. This rabbit litter box is in a triangular shape. Its front side opening is lower so that your rabbit can climb conveniently. On the other hand, high sides are really helpful in keeping the litter in. No matter how much your rabbit jumps, it is impossible to scatter the litter outside of the litter box. Through this rabbit litter box, you can potty train your rabbit effortlessly. If you succeed in potty training your rabbit then it becomes easier for you to keep your house and rabbit cage clean. This rabbit litter box has hooks. You can connect the litter box to the rabbit cage through the hooks. People have given it 3.8 stars out of 5 and 50% of the people have given it 5 stars on Amazon.com. This is one of the best and innovative rabbit litter boxes that you should use for your furry friend. If you want to train your rabbit for excrement then the Mkono Potty Trainer Corner Litter Box will really prove to be helpful in training rabbits effortlessly. As a result, you can keep your house and rabbit clean. This rabbit litter box is 9-inch L x 7-inch W x 4-inch H.
It is an ideal size for small rabbits, small guinea pigs, hamster, chinchillas and other small animals. The main feature of this rabbit litter box is that it prevents your rabbit from being messy because it keeps the mess away from your rabbit even after going to the toilet. Its grid floor design helps to keep rabbits clean. It is made of plastic that is durable and pet-safe. You can clean it conveniently because of the non-stick surface. If you want to preserve the living area for your rabbit, it can be fitted into the corner of the cage. The good news is that it has hooks that play a significant role in connecting the litter box to the rabbit cage. As a result, the rabbit litter box cannot slide. On the basis of the best features, rabbit owners have given it 3.5 stars out of 5 on Amazon.com. It means that it can be the best rabbit litter box in 2019. If you are finding the best usable and innovative litter box then your search is over. Our experts studied a number of litter boxes through online sources to give you a better idea. They found that the Marshall Ferret High Back Litter box the most suitable for the rabbits. Its outer size is 14-inch L x 12-inch W x 7-inch H which is the best suited for small animals. You can use it for small rabbits, ferrets, and guinea pigs. They will feel comfortable in this litter box. Another good feature of the rabbit litter box is that your rabbit can easily climb without facing any problems because its front side is only 2-inch high. As a result, climbing the litter box is not difficult for your rabbit. That’s why it has proved to be pet-friendly. However, its high sides are really helpful in preventing rabbits urine from spilling out of the litter box. Due to being a little deep, your rabbit cannot scatter messes outside of the litter box. Due to being stain free, you can easily clean the litter box without spending more time. If you want to provide the more living area to your rabbit, it fits well in the corner of the cage. That’s why people have highly appreciated it. After considering all the features of the rabbit litter box, our experts highly recommend it to use. Rabbit owners have given it 4.2 stars out of 5 and 63% of the people have given it 5 stars on Amazon.com. WYOK Rabbit Litter Box can be the best choice for your furry friend because it plays a very important role in potty training your rabbit. This rabbit litter box is very helpful to keep your rabbit clean as well as their cage. The dimension of the litter box is 11-inch L x 9-inch W x 6-inch H x 3-inch D.
It can prove an ideal size for small animals. You can use it not only for adult rabbit but also for adult guinea pig, galesaur, and ferret. Your rabbit will get a comfy area. If you want to know about the material that what kind of material has been used. Don’t worry, this rabbit litter box is made of plastic which is very strong and lasts for a long time. Not only this, the plastic is stain and odor free. It means that you can clean it effortlessly and it is not difficult to keep the rabbit clean. The different size of grid floor keeps messes away from your rabbit. It means that your rabbit will not be dirty. The grid floor is removable that’s why you will not have to face any kind of problem cleaning the litter box. This rabbit litter box is really helpful if you want to train your rabbit for using the litter box. Also, the rabbit litter box comes with hooks. You can connect the hook to the rabbit cage conveniently. As a result, it can be prevented from sliding and your rabbit cannot overturn it and even they can not scatter messes outside of the litter box. People have given it 3.8 stars out of 5 and 57% of the people have given it 5 stars on Amazon.com. The above section lists some of the products available in the market. This section of the writeup enhances the different features that a pet owner should emphasize on. These features are necessary for a clean environment for the pet as well as easy to maintain from the perspective of the pet owner. So here is the list of features one should look for. One of the primary features one should look for in a rabbit litter box is its permeability. Permeability is the absorbent quality of the pellets. The best quality litter has a high absorbency rate and can soak up the liquids and moisture. Typically, all litters tend to hold a maximum of three times of its own weight. This keeps the litter fresh for a longer period of time. This is why most pet owners prefer permeable litter instead of non-absorbent ones. Ecologically friendly products have become the need of the hour in modern times. Using products which are biodegradable are the trends in recent times. It is best to choose a rabbit litter box which is made from recycled paper or naturally degradable ingredients. This can reduce the toxicity to a great extent. Most of the litter pellets are dust free and quite a lot of these products claim to be 99% to 100% dust-free. This can be a great factor in deciding which rabbit litter box to buy. A dust free pellet can keep the litter clean for the bunny. The cleaning frequency also reduces a great deal which makes things easier for the owner as well. The higher the percentage of the product being dust free, the better the product. Pets can seem like a nuisance when they are not potty trained. The house can be messy and stinky quite often. Even if you successfully potty train your bunny, you need to keep the foul-smelling litter away from your spouse and children. This is the reason why many manufacturers claim that their product can control the foul smell because of animal excrement. Keep an eye out for products which have a higher level of odor control and choose amongst them. Choosing the best litter product is very important, both for the pet as well as the pet owner. The hygiene of the rabbit as well as the house is paramount. Choosing among different variation can seem like a dilemma. But after reading through this article, choosing the right product should be much easier. Look out for eco-friendly products which have a higher level of absorbency. The dust-proof feature is an added bonus. Choosing any one of the above-mentioned products should serve you very well.